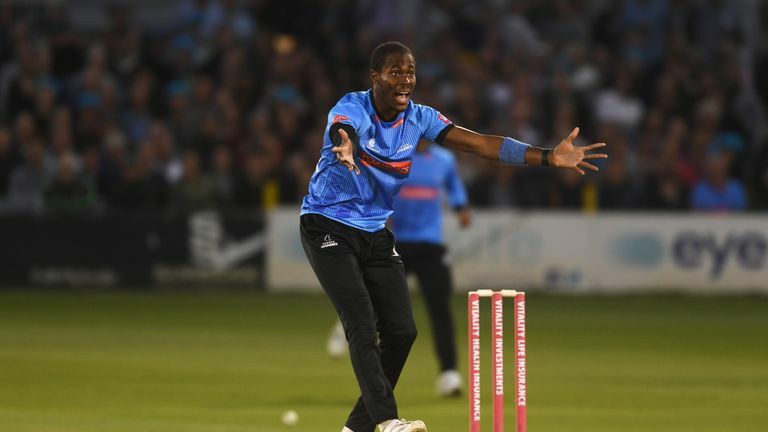 Jofra Archer's speed has had batsmen hopping around against Sussex - one of the reasons he could make England's World Cup squad! Will Jofra Archer be picked? What about Joe Denly? Our pundits mull over England's World Cup squad - and who they would select. Read on for the views of Bob Willis, David Lloyd, Mark Butcher and Rob Key and then make sure you stick with skysports.com, Sky Sports Cricket and Sky Sports News on Wednesday as England reveal their provisional 15. 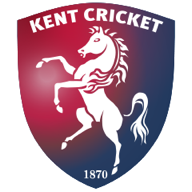 Our experts will be on hand to react to the news during our coverage of the Royal London One-Day Cup encounter between defending champions Hampshire and Kent at Canterbury, live from 12.30pm on Wednesday. Bob says: England have got an excellent chance in the World Cup - although I would say they are probably one top-quality seam bowler light. That's why there's all this talk about Archer coming into the squad. I would bring him in for either Chris Woakes or David Willey. I know Woakes has done well in the side, but I am a little bit concerned about his fitness. As for Willey, it's interesting he was quoted recently as saying Archer should not be thrown straight into the England side, as they are a settled bunch, a close-knit unit. But he did not play an ODI on the recent tour of the West Indies. Nor did Denly. So that makes them vulnerable. I cannot really see Denly featuring in the World Cup, so you might be tempted to take along a younger batsman in reserve. But he seems to be the preferred guy at the moment, and he's also that extra spin option. 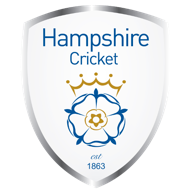 Sam Billings is probably up against Alex Hales as the spare batsman in the squad for that reason, and Hales would get the nod there. I would make one change and that would be Archer for Willey. There is a case for Chris Jordan, too, but I do not think his bowling is as reliable as some of the others. All in all it is a very good squad and England will probably rightly start the tournament as favourites. Bumble says: I assume they know what their squad is, and have done for quite some time. In fact, I'm sure Eoin Morgan knows his team, never mind his squad. It will be the usual suspects, with the one irresistible exception being Archer. He will come into the squad. He is qualified now, and he has not qualified for nothing. I have not got a clue who that will be for, but someone will be very disappointed. I'm not sure Denly will necessarily be in that squad. He and Willey were not used in the West Indies but, in England, with the weather overcast and the ball moving about, Willey with the left-arm option will be a must. I do not think there will be any surprises. I think England will stick with what they have had and what they have got; what has got them to No 1. Butch says: There are not going to be any surprises. Archer is the outlier, though, and England would be daft not to look at him. The reason Archer is so compelling is simply because he can replace any one of England's front-line seamers. He could cover Liam Plunkett and his role mid-innings, he could cover Woakes and bowl with the new ball. He can also be a very effective performer at the death. It's not rocket science. In my opinion, three needs to go into two, with Archer competing with Tom Curran and Willey for the last two spots. Curran's preferred and most potent time is at the death, Willey's is upfront with the new ball. Neither of them have particularly had success outside of those specialist areas. That's why Archer, for me, gets in. The guy at the moment who I think will be unbelievably unfortunate to miss out is Curran. The reason for that is because Willey is that left-arm option. There is possibly the argument for Archer to come in for Denly, sacrificing the extra batsman and spare spinner. But I still tend to think you want to have a replacement on hand. England will want to play two spinners in every game - they pretty much have done since the last World Cup - and so Denly, or Liam Dawson would be that spare spinner. At the minute, I would actually rather have Dawson. Keysy says: The batting speaks for itself, barring any injuries. Hales is going to be in the squad but probably sat on the bench which shows how strong that section of the side is. It's very hard to see how another batsmen, such as Billings perhaps, gets in to that 15, when you want all bases covered. I do not think you need two spare out-and-out batsmen in the set-up. The only questions are over the bowling - but I think you have to pick, and have to play, Archer. He can do everything - he can bowl slower balls, bowl at the death and bowl with the new ball. When we watched the 50-over portion of England's tour of the West Indies and Willey did not feature you thought he could be the man to miss out, but then he played in the T20s, getting Chris Gayle out in the second game and looking like he had a plan to him, and then taking four wickets in the third. The shoo-ins as far as the seamers go are Woakes and Wood, while I like Curran, plus Plunkett has done a fine job over the years, so it will be a really tough call. You could leave out Denly, who offers you options with bat and ball, and pack the seam-bowling ranks but, like Butch, I do think having the extra spin option could be important. You do not want to turn up on a raging turner and not have a third spinning option. I would stress this is only a provisional squad and I would want to look at One-Day Cup performances and conditions to see whether I want the extra spinner or seamer. If I go for the spinner I would probably opt for Denly over Dawson and leave out Willey but that could all change come mid-May.